Licensed originally in Munich, Bavaria I came to the USA in 1969 and operated for many years as DK6CX/W1 from Massachusetts. DX and the YL International Side Band Communication System were my main activities. 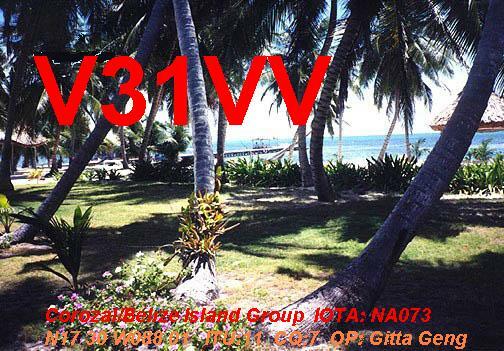 I also worked from St. Lucia as VP2LAB, Turks and Caicos as VP5BG and Belize V31DK before I was issued V31VV. My son Michael was DH8MAK and WB1AES before becoming W4AAT. He got his license at age 12. Grandson Andrew was licensed at age 11 in 2004 and is now K4AAT.